I'm completely obsessed with kimonos this summer. I love how you can transform a casual outfit into something a little more dressy, without over heating in the sunshine. 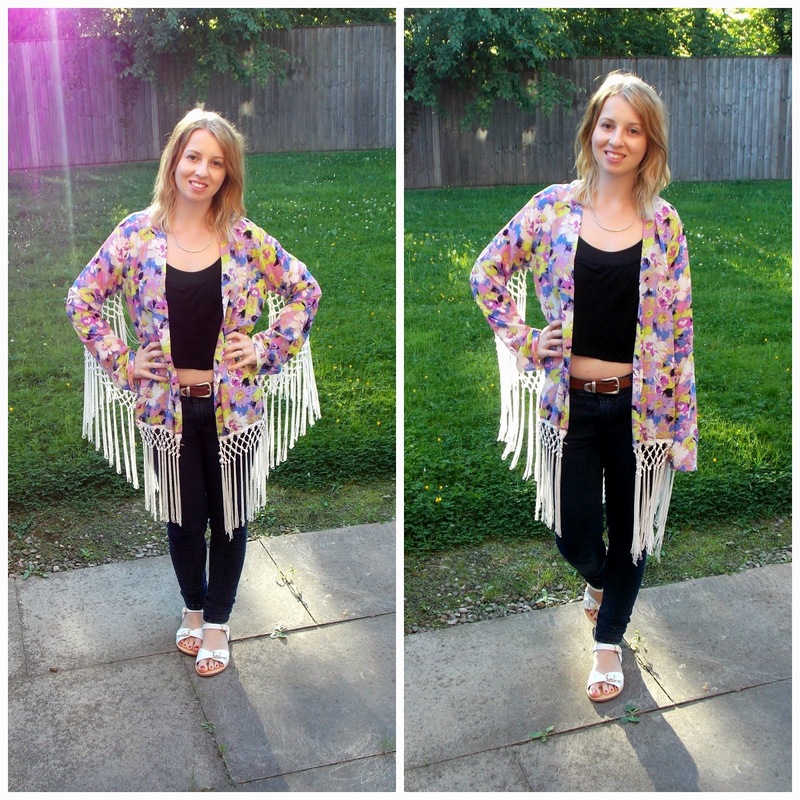 This kimono from LilyLulu is just perfect for throwing on over a vest for a summer evening. The material is really light and floaty which makes it the perfect addition to any outfit. I love the tassel detailing too, it did feel a little strange at first but as I've got used to it I really like the added interest to this piece. I teamed the kimono with a casual outfit and my new sandals from Next2Nowt. I've raved about the website before and I spotted these a few weeks ago and knew I had to have them. I've been on the hunt for some white sandals for the summer and these are exactly what I'd been looking for. Despite coming from Next2Nowt they are in perfect condition and fit my feet like a glove. Plus they cost me £7, which is a pretty amazing bargain. What a beautiful kimono! Lovely outfit.